As we get set to bit this winter a less than fond farewell, I thought I’d post a couple of winter pictures just to show people what they miss. The first picture is taken near the peak of Algonquin a couple of years ago. It was late October, 2011, cold, but the snow hadn’t started falling in the valleys yet so I thought I’d get in one last hike. 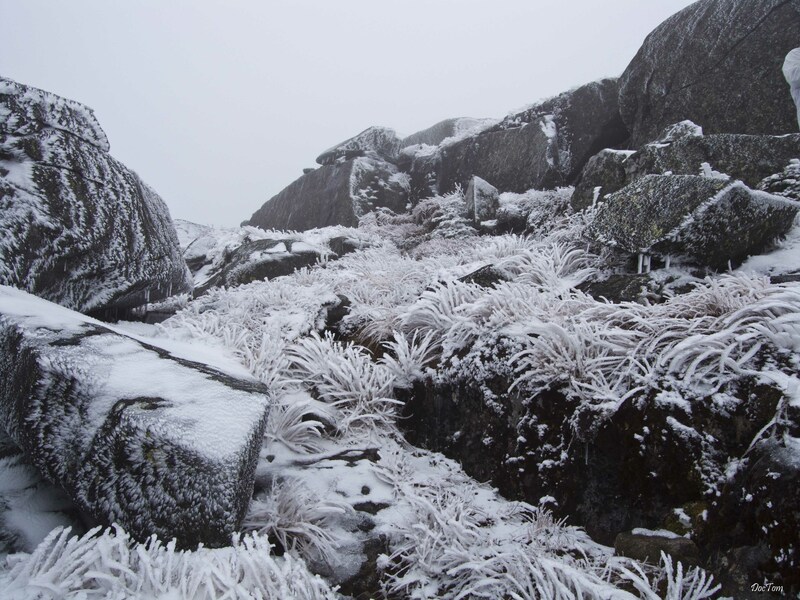 The peak was pretty much covered in cloud, but I felt the snow coated alpine flora and snow-banded rocks (almost looks like moss growth) gave it a certain austere beauty. 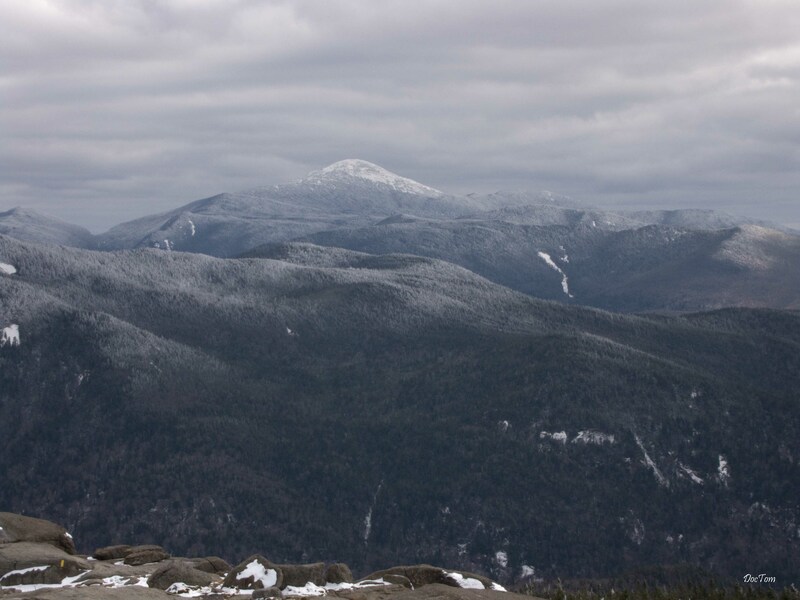 Spring of 2012 started with an early thaw, so headed up Cascade Mountain in March. Heavy clouds threatening new snow to the southwest gave the view of Mt. Marcy a cold beauty you can see below. Just looking at this picture makes me want to button up my jacket! Nice to see the Adirondacks. Drove through them with. Friend back in 1964, down to New York, also had a pen pal there. My daughter is ino photography. Would like to see more id your photographs from this region. Thank you, Evelyn. Should have some new pictures for you to enjoy later this summer. Hiking season just getting started!